Interested in a drone sprayer? Drones are really just aerial platforms from which to do things. Most people associate drones as data collection platforms where you mount sensors such as cameras, LIDAR, etc., but drones can also be used for the delivery of all sorts of other things besides just drone package delivery or medical delivery. One great example is using the drone as a drone sprayer. Keep in mind that there are attachments for drones to do things other than just spraying (e.g. drone granule spreader). I’m a commercial pilot, current FAA certificated flight instructor, aviation attorney, and former professor at Embry-Riddle Aeronautical University. I distilled into this article some of the important points that I have used as I have assisted clients in successfully obtaining Federal Aviation Administration approvals to operate their drone sprayers. If you need my help with exemptions, a Part 107 night waiver, going through the 137 agricultural aircraft operator certification, please contact me for pricing. I’m going to touch on the high points of each of these drone sprayer uses. Please keep in mind that each drone sprayer has is own set of unique problems, economics, laws, etc. My commentary is not an exhaustive discussion on the whole area. There is a problematic decline of bee population numbers around the United States which has been caused for various reasons. Dropcopter has stepped into this gap with a very innovative idea of using their drone sprayer to pollinate crops. It also appears that their Dropcopter can maybe increase yields. Dropcopter’s website says, “Dropcopter completed its patent pending prototype, and conducted the first ever UAS pollination of orchards crops, boosting crop set by 10%.” A study was completed and here are some pictures of the apples. Because of their ability to communicate diseases, fighting mosquitoes is a big thing around the U.S. Mosquito abatement organizations are seeking to actively use drones to help fight mosquitoes. Recently, the Department of Transportation (DOT) announced the Drone Integration Pilot Program. The DOT picked ten winners, one of which is the Lee County Mosquito Control District located in Ft. Myers Florida. “The proposal focuses on low-altitude aerial applications to control/surveille the mosquito population using a 1500-lb. UAS.” Lee County is not the only mosquito control district interested in using drones for spraying pesticides. Other control districts currently have drone sprayer programs underway. If you are a government agency that fights mosquitoes or other pests, there is the potential for your operations to be done under a certain type of classification called a public aircraft operation which gives your operation more flexibility than non-government entities. See below for a discussion. If you are interested in helping your mosquito control district use drone sprayers, contact me. Mosquitoes are not the only insects you might be interested in fighting. Drone Volt created a mount to spray insecticide on hornet nests way up in trees. How much liquid you need to spray. For large areas of land, manned aircraft and ground spraying rigs make more sense based upon cost per acre compared to crop dusting drones. Read my section below on the economics to understand this fully. For smaller pieces of land or land that is inaccessible to ground rigs or manned aircraft, it might make sense to use crop dusting drones. Drone Seed is looking to corner the market on precision forestry. Not only can it do a potentially dangerous job of planting trees on the slopes of steep inclines but it can also potentially do it faster than by workers on foot. “The craft has a tether line supplying water, which it sprays at up to 100 liters a minute (with optional de-icing coating), and another for power, meaning it can stay aloft indefinitely. Cleaning by drone costs around $1,000, compared to $5,000 and up for cleaning by climbers. There is far more hype to this area that is being driven by possibilities rather than economics. Each of these platforms has pros and cons that need to be weighed against the benefits of the drone sprayer. For the discussions below, I’m assuming someone would be purchasing something like the HSE or DJI drone sprayers. Manned Aircraft: Most drone sprayers cannot carry a large payload compared to manned aircraft. Manned aircraft also are lower in cost per acre than drone sprayer operations. 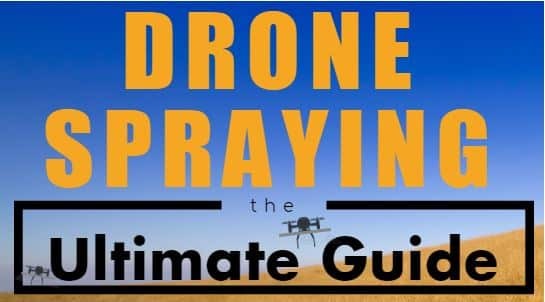 For crop spraying, drone sprayers won’t be used for large acres of land because the spraying rate per day is also way too small compared to manned aircraft which can spray thousands of gallons in one day. This is a major point people miss. There are narrow windows of time to spray crops due to all sorts of things such as weather, chemical being sprayed, growth cycle, etc. Simply put, drone sprayers cannot spray fast enough because their tanks are small. Drone Sprayers: Drones have the ability to service clients who have smaller amounts of land or area inaccessible to manned aircraft. Ground Spraying Rigs: They do not have to deal with the FAA and all those hassles. They can also hold much more spraying material than a drone. Drone Sprayers: Drone sprayers can access areas that ground spraying rigs cannot, such as uneven, steep, or inaccessible terrain or sensitive environments where the ground vehicles would damage the area or crops. Drone sprayers are lower in cost to purchase and maintain. Backpack Sprayer: Super cheap to purchase ($90) compared to a drone sprayer. No FAA problems. Drone Sprayers: You can access areas with less danger to your employees. (Slip and fall anyone? Hello workers’ compensation claims.) Potentially more time efficient. Less exhausting than walking around with a hand pump sprayer. Depending on batteries and how quickly you can refill, this can be more time efficient than backpack sprayers. So Where Do Drone Sprayers Fit In? When you go to the home improvement store to buy some paint, you’ll notice that there are small spray paint cans, low cost electric paint sprayers, and large metal heavy duty commercial sprayers. By analogy, drone sprayers fill a sweet spot that is similar to low cost electric paint sprayers. Able to get into locations that manned aircraft, ground spraying tractors, or hand sprayers cannot access. Lower acquisition costs versus larger pieces of equipment (ground spraying tractors) or manned aircraft. Do you really need to buy that ground spraying rig? Easy and low cost to transport and deploy. (Ground spraying rigs you have to drive or tow there. Manned aircraft you have to fly to the location). Able to service smaller clients that would not have hired a manned aircraft. Can You Give Me Some Drone Spraying Examples? High value crops that tend to cover smaller acres of land (vineyards, apple orchards, almond orchards, etc.). Spraying pollen on higher value crops to increase crop yields. Crops on terrain that is too inaccessible or inconvenient to get to with a ground sprayer yet is too small to justify hiring a manned aircraft spraying operation. Herbicide spraying on rocky embankments near a water reservoir where you don’t want to endanger your employees or you have a hard time getting to the rocky areas with the ground rig. Mosquito abatement in areas that ground vehicles (or boats) cannot easily get to and that don’t justify the use of manned aircraft. You’re a company that is running an in-house operation testing out aerial application of chemicals or on a particular type of plant. What About Costs? How Much Does a Spraying Drone Operation Cost? FAA Registration ($5 per drone). Good for 3 years. FAA Remote Pilot Certificate Knowledge Exam ($150 per remote pilot). Aeronautical test knowledge is good for 24 months. Study Material for Remote Pilot Test (Free-$250) (I have a huge free study guide for the test located here). You’ll need a Part 137 Agricultural Aircraft Operator Certificate ($0 per operator but will take time). Indefinite. Exemption ($0 per operator but will take time and legal knowledge.) Lasts 2 years. Need to spray at night? Part 107 night waiver. ($0) Lasts 4 years. Drone Sprayer Insurance. I can’t estimate this because there are many factors here. Read my article on drone insurance before you buy some. If you need my help with exemptions, a Part 107 night waiver, going through the 137 agricultural aircraft operator certification, please contact me for pricing. Now before you start making business plans. You need to know that these drones are considered aircraft. Aircraft are regulated by the Federal Aviation Administration (“FAA”). In addition to the FAA, other U.S. Federal laws may apply to your operation. Just at the get go, if you are a government agency, some of these regulations might NOT apply to you. This is completely beyond the scope of this article but I have talked about it more over here. Most commercial drone operators follow Part 107. There are other legal methods of getting your aircraft airborne legally but this is the most time and cost efficient. 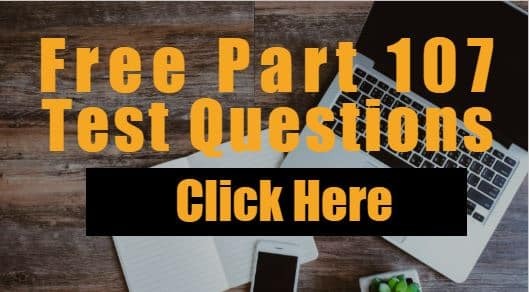 Basically, Part 107 requires the drone sprayer to be registered, the pilot to have a remote pilot certificate, and for the operations to be done according to the restrictions listed in Part 107. Click here to read up on the complete summary of what Part 107 says. You cannot carry hazardous material on the drone. Now these are not deal breakers but you’ll need exemptions from these restrictions. Exemptions do not cost anything to file with the FAA but they do take time and legal knowledge to make sure you have identified all the regulations you need to be exempted from. If you don’t have the time or knowledge, you can hire people, like me, to help you with this. Also keep in mind that for 55 pound + exemptions, there are documents and data the FAA will want you to submit in support with the exemption. This data might NOT be supplied by the drone sprayer manufacturers, which means you need to create it or find someone who has. See tips below for more on this topic. Part 137 – Agricultural Aircraft Operations. Engaging in dispensing activities directly affecting agriculture, horticulture, or forest preservation, but not including the dispensing of live insects. Economic poison means (1) any substance or mixture of substances intended for preventing, destroying, repelling, or mitigating any insects, rodents, nematodes, fungi, weeds, and other forms of plant or animal life or viruses, except viruses on or in living man or other animals, which the Secretary of Agriculture shall declare to be a pest, and (2) any substance or mixture of substances intended for use as a plant regulator, defoliant or desiccant. Most spraying operations fall into the applicability of Part 137 and because of such, they’ll need exemptions from sections of this part. Why? Part 137 was created a long long time ago. The regulations designed for manned aircraft do not make sense with drone sprayers. Conveniently, if you are already getting an exemption from the prohibition in Part 107 to not carry hazardous materials (like economic poisons), you can just add the sections of Part 137 that you need exempting from all into one request for exemption document. Here is a major point that people miss. In addition to the exemption to do agricultural aircraft operations, the operator will need to obtain an agricultural aircraft operator certificate. You can thankfully pursue both the exemption and certificate in parallel to speed things up but you’ll need the exemption approval before you get inspected by the FAA as the final step in getting your agricultural aircraft operator certificate. Keep in mind the FAA isn’t the only federal agency you might have to deal with. There is also the Environmental Protection Agency and also the Occupational and Health Safety Administration which have regulations that apply. Discussing these regulations is way outside the scope of this article but I wanted to mention this. There are state and local laws that apply to aerial application spraying (manned and unmanned spraying). This is a very broad area but just know that states require you to obtain some type of restricted use pesticide license to spray any economic poisons and typically you need the certification in the category you are performing the work (aerial application). Some states require you have your drone sprayer registered with the FAA and even the state. The state won’t issue any state registration until you also show some drone insurance on your drone sprayer. This means you won’t be able to do some type of hourly insurance set up but will have to obtain annual insurance and request a certificate of insurance to show to the state. Local laws also might apply depending on what you are spraying, when you are spraying, and where you are spraying. Right now, there are some companies that are manufacturing spraying drones. The drone sprayers listed below are ones I’m familiar with. I didn’t do an exhaustive search for all that is out there. Very important point: if any of the manufacturers or resellers refer you to other companies for legal or consulting assistance, ask them if they are receiving referral fees from that person or companies. You want to find out if the recommendation was because the consultant or attorney was the best person for the job, not because they were giving kickbacks. As a Florida-barred attorney, I’m prohibited from providing referral fees to not attorneys and have never done so. Some of these companies also have foggers and spreaders that mount onto the aircraft. Agras MG-1. RMUS sells a package you can see here. HSE has multiple spraying drones. Check out this chart for comparison. Keep in mind you don’t just buy the drone sprayer. You’ll be also thinking about purchasing a transport case, extra batteries, training, etc. A. Attorney Client Relationship Protects Sensitive Conversations. The attorney-client privilege protects conversations between the client and the attorney. This allows for open conversations regarding the legality of the operations. “Was I supposed to do……..” or “We just received a letter of investigation” are supposed to be brought up in the open and honest attorney-client discussion. There are alot of regulations that apply. Do you really want to rely on a non-attorney to give you legal advice? You’re the one getting the fines, not the consultant. Please note that it is ATTORNEY client relationship and not consultant client relationship. The FAA, federal and state law enforcement, plaintiff’s attorneys, etc. can subpoena your consultant to testify against you. They can’t do that with an attorney except for really rare situations. The consultant is stuck between a rock and a hard place. They either tell the truth and goof you up, lie and risk jail, or refuse to answer and go to jail. The answer is simple – you’ll get goofed over every time. B. An attorney can actually provide legal advice – lawfully. You’re going to need a lot of answers regarding the laws. Almost all the states I know of require that people who provide legal advice be licensed attorneys in that state. Only attorneys can provide legal advice. If anyone claims they are an attorney, check the state bar directory in which they live to see if they are a current member in good standing. For example, if you go to the Florida Bar’s member search page, you can search for me and see that I’m eligible to practice law and in good standing with the Florida Bar. I know of a person running around in the industry right now that calls themselves an attorney but that person is actually a disbarred attorney who was disbarred because of dishonest conduct towards the client. It will look pretty bad to your boss if you hire a so-called attorney who turns out to not be a LICENSED attorney. C. They have a duty to you. – This is an important one. Yes, we all understand the idea of giving secrets away to a competitor is a big no-no. But consider this….as a Florida Bar attorney, I’m actually prohibited from paying out to any non-attorney or drone manufacturers any referral fees. This means that if I recommend something or someone, I’m recommending it because it is good, not because I’m getting paid for it. Furthermore, this means that people who refer to me are sending you to me because I’m the best person to help, NOT that I’m giving them a kickback. D. Protection. Most attorneys have legal malpractice insurance which is there to protect you in case there is a mistake. I don’t know of any consultants that have legal malpractice insurance to protect you if they advise you incorrectly on the aviation regulations or the other laws that apply to this area. Furthermore, attorneys go through background checks to get barred. Consultants don’t have to get checked out. 2. Are You Planning on Flying 55 Pounds or Heavier in the United States? A. Limited Payload. To fly under Part 107, your drone sprayer needs to weigh under 55 pounds on take-off. It could have the capability to fly heavier, but you need to keep it under. This is an important point because you could purchase a drone sprayer capable of flying over 55 pounds but you’ll be forced to limit the amount of liquid in your tanks for the drone and liquid together to be under 55 pounds at take-off. B. More Costs & Different Rules. The amount of effort to fly a drone sprayer weighing 55 pounds or heavier is much more considerable than just flying under Part 107 without an exemption. Keep in mind you cannot just get a remote pilot certificate and fly a 55+ drone sprayer. The pilot will need the more costly sport pilot certificate and will be operating under a completely different set of regulations than Part 107. This means your up front costs WILL be higher for flying a 55+ drone than for an under 55 drone. This also means that if you want to scale out the drone spraying operation, you’ll need to pay for training to get the employee a sport pilot certificate or recruit people that already have this license or higher. It might make sense for your operation to have multiple under 55 pound drone sprayers and maybe one or more 55+ drone sprayers for larger jobs. C. Lack of Reliability Data. This is actually the worst one. For a 55+ exemption, the FAA will ask for information on the drone sprayer, such as how many total hours have been flown on it to show engineering reliability. This is different than manuals. Is there any supporting data that shows this type of air frame is safe? This means you’ll most likely have to obtain the drone sprayer data yourself or find someone who already has. Maybe in the future the FAA will approve other 55+ exemptions based upon someone doing the previous leg work on the same make and model of drone sprayer but I have yet to see that. D. Registration Planning. The easy online method of registering the drone sprayer under Part 48 is for only drone sprayers that will be operated under 55 pounds. This means you’ll have to go through the headache of de-registering under Part 48 and re-registering under Part 47 which is a pain in and of itself. Proper planning would say if you plan on going 55+ with your drone sprayer, just register under Part 47 which is good for both under 55 and 55+ operations. Drone sprayers provide great opportunities for certain types of operations but not all situations. To help you achieve your drone sprayer goals quickly and legally, it is best to work with someone who has familiarity with the area. If you are planning on navigating this difficult area, contact me. I’m a commercial pilot, current FAA certificated flight instructor, aviation attorney, and former professor at Embry-Riddle Aeronautical University. I am currently assisting clients in these matters and HAVE successfully obtained exemption approvals for clients to do drone spraying. I’m also familiar with the non-aviation related legal issues that are extremely important for drone sprayer operations. ← Counter-Drone Law & Technology: We Need a Comprehensive Game Plan.